Controlling a remote computer thru network connection or Internet is already there but you can also turnoff or restart your computer by sending tweets. For example, if you forgot to shutdown your home computer and now you are on way to office, then just send a tweet from your Twitter account using your Smartphone and within 1 minute, your home computer will be shutdown. You need to install TweetMyPC application on your computer and provide your twitter account details at the time of setting up this application. Once the setup will complete, you can control your computer by sending tweets. Apart from shutdown and restart, you can do lot many things over there. For example, logoff, hibernate, lock, Abort Shutdown, Download and save particular video of file even on move, Change Wallpaper, Get a particular file emailed to you even you are distant from your computer and many more. 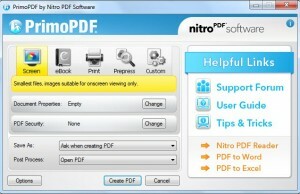 Important – You can also print a document or PDF file present on your computer by sending a tweet from twitter account. 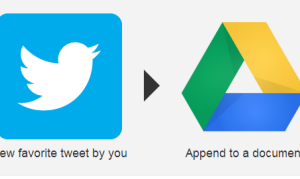 That tweet will pass the message to print the document to your computer and the print out can be taken from the printer connected to that. Here is the list of tweet commands thru which you can control your TweetMyPC installed computer. You just need to tweet these messages for particular purpose. shutdown This command will shut down your computer after showing a warning and a wait-time of one minute. standby Don’t want to shutdown? Then you can make your pc go to standby mode with this command. abortshutdown You accidentally tweeted shutdown or hibernate? Don’t worry. You still can stop it by tweeting “abortshutdown” to stop it – if you are fast enough! os This is one of the command which does not have much value. Tweeting “os” will make TweetMyPC to tweet about your Operating System version. screenshot Want to know what is happening in your pc when you are not around? Just tweet screenshot and TweetMyPC will take a screenshot of your desktop and post it to Twitpic. getprocesslist This is one of the very useful commands. On receiving this command TweetMyPC will generate a list of running programs, along with the process ID, and email it to a predefined email address. kill <process id> This is used along with the above command. Once you receive the process list you can close a program using the kill command. download <URL> Want to download an interesting video but you are on the move? Don’t worry – just tweet download followed by the download URL and TweetMyPC will download it for you and it will be ready when you return back. Note: Twitter automatically converts long URLs into short one using bit.ly. TweetMyPC can download files only if the URL is in the short form for security reasons. Please use bit.ly to shorten your URL before posting. getfile <filepath> Missed an important document and you are traveling somewhere? No problem. Just tweet get followed by the file path and TweetMyPC will email the file as attachment to a predefined email. Don’t know the path? Don’t worry. Just checkout the next command. getfilelist <drive> This command will make TweetMyPC to send you the list of files and folders in a drive. You can use this command to email you a file once you know the complete path of the file. wallpaper <URL> You found a nice image and want to use set it as background at your TweetMyPC-Computer? Just use this command with the URL of the Image to set it fast and easy from anywhere! ping When TweetMyPC reads this, it will answer that it is running and checks for tweets – This is really helpful to see if TweetMyPC is working and if your commands will have any effect. +fun link 😉 try it! message <your message-text> Thanks to this command you can send a custom message to your computer, which will be shown as message-box, so you can communicate with other people sitting in front of your computer or just send a notification to yourself to read them later. There are lot many ways to send messages to computers, but this kind of Twitter control is really amazing. So if you are having a twitter account and want to control your computer from distant location, then try TweetMyPC.